Auto shows such as the ongoing New York International Auto Show are generally an exhibit of automotive innovation and excellence with the latest concept cars and sleek designs on display. This year’s New York auto show is however coming with a difference: virtual reality. Thanks to innovations in the VR space, auto makers are now deploying this medium to create tech-heavy marketing pitches to captivate their target market. 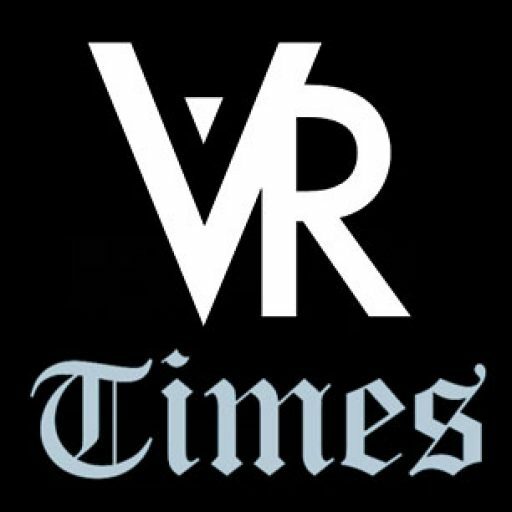 In this year’s auto show, automakers have used both virtual reality and augmented reality to create high tech marketing pitches that give their potential buyers a lifelike simulation of their products. 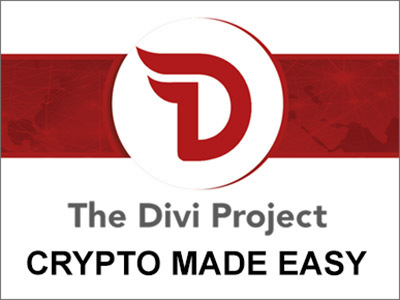 Customers are able to visualize how these concepts are going to look and feel like and how they are going to perform using the virtual reality medium. 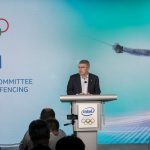 In terms of deployment of VR as a marketing tool, this year’s New York International Show has seen some of the most sophisticated virtual reality executions with some of the leading automakers such as Toyota, Chevrolet and Honda leading the fray. The automakers have used virtual reality to create make-believe simulations of cars and landscapes that allow users to get an almost real-life experience of the cars, even though some of these may not be rolling off the assembly lines soon. 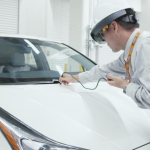 Virtual reality is set to be deployed in the testing of autonomous cars soon but Toyota is already applying the technology in simulating its Fine Ride Concept Ride concept car. The purpose of this virtual reality rendering was to simulate what Toyota’s autonomous hydrogen fuel concept car will look like when it rolls off its assembly lines in the future. Toyota has provided virtual reality headsets that visitors at the New York International Auto Show will use to experience a ride in this future autonomous car. The car will feature four seats and the two front seats have been designed in such a way that they can swivel to face the rear seats in the driverless car. The VR simulation is also showing that the autonomous car will have window displays where the occupants can read or watch videos. 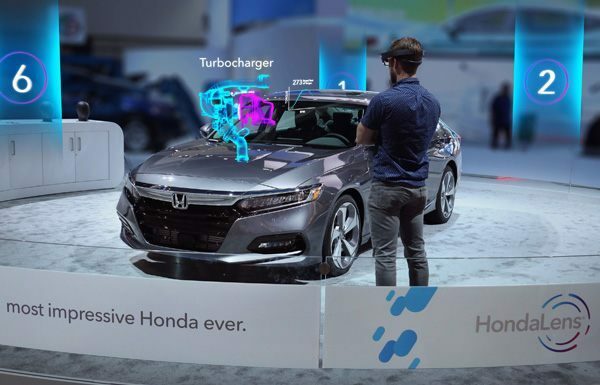 Honda is deploying augmented reality to market its latest automotive innovations and products. At the auto show, the automaker is using the HondaLens, which is an augmented reality exhibit with various animations and graphics that display the many characteristics and features of disparate Honda models. HondaLens augmented reality exhibit is an informational tour of each of the Honda models with facts about the engine, design and the dashboard features of the cars. The Ford VR rendering at the Auto Show is dubbed the City of Tomorrow and takes users on a futuristic ride above an urban landscape that gives visitors a tour of the company’s latest innovations in transportation technology. The VR display features a dynamic seat control that models turning forces as well as acceleration. This is not the first time FORD is showcasing this VR display. It featured in the Detroit Auto Show and proved quite popular with many visitors. The Dodge Drag Strip Simulator is a marriage of virtual reality and reality and is probably the most sophisticated VR display at the show. 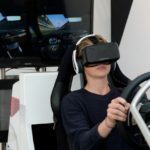 The physical automotive engineering in the vehicle has been interfaced with a video game environment with the use of virtual reality. In the Dodge virtual reality exhibit, two real Dodge Demons are paired in a side-by-side contest with a video game drag strip that can be visualized via the two cars’ windshields. 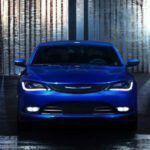 Instead of engines, the two (physical) cars have hydraulic and electronic devices under the hood. When the front wheels lift for the take-off, the two Dodge Demons will deviate from a virtually straight line while the Demons’ 808 horsepower creates G-Force of the acceleration that slams the drive on the seat and create a real feel of a car in motion. There are struts that are hydraulically powered and electronically controlled that simulate various aspects of car motion. The physical vibration of the Demons’ engines along with the virtual change in track surfaces is relayed to the seat where the driver is sitting and it is also synced with the video game. By steering the car accurately and utilizing the throttle with some precision, the driver is able to simulate the real thing. Realistic feedback is fed back via the steering wheel and the sound plays in the speakers inside and outside the two cars. 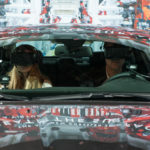 Automakers are using these virtual reality simulations to put consumers on the driving seat and give them a make-believe experience of the real deal. Some of the VR executions, such as the Dodge Demon drag stimulator that combines the real and virtual are quite complex and hard to replicate. 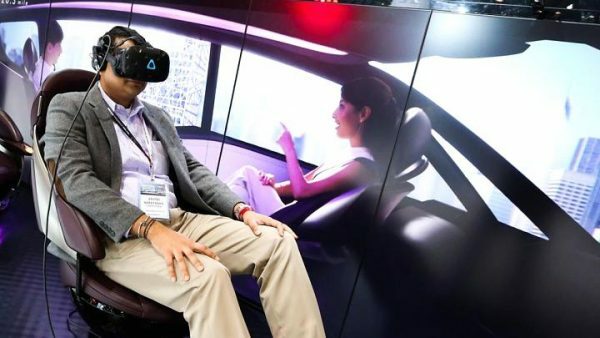 Some are the usual VR rendering that gives show goers a3D and 360-degree VR environment that allows them to “interact” with the vehicle in virtual reality. Pulling off such displays not only showcases the latest innovations to customers but it also rubs off positively on the brands.